• Kobre40 is an economical non-gamma 2 admix alloy. It provides a consistent mix, ease of handling, placement in preparations, condensability, quality of interproximal contact and setting characteristics that ensure the quality of the final preparation. 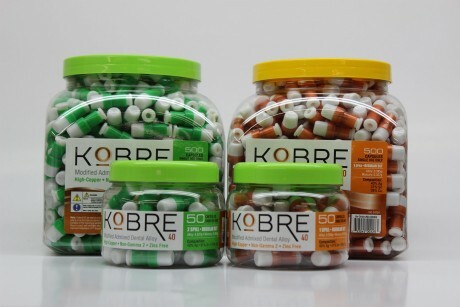 • Kobre40’s high compressive strength minimizes the risk of fracturing the restoration. The high compressive strength ensures a tough and durable long lasting restoration. • Kobre40’s positive dimensional change ensures excellent sealing qualities at the margins. Negative values can contribute to post-operative sensitivity.